Visit our website and search for "Our Farmer Promise" to learn more. *Easier to digest if you may be lactose intolerant or have a sensitive gut. Less than 0.03% lactose. 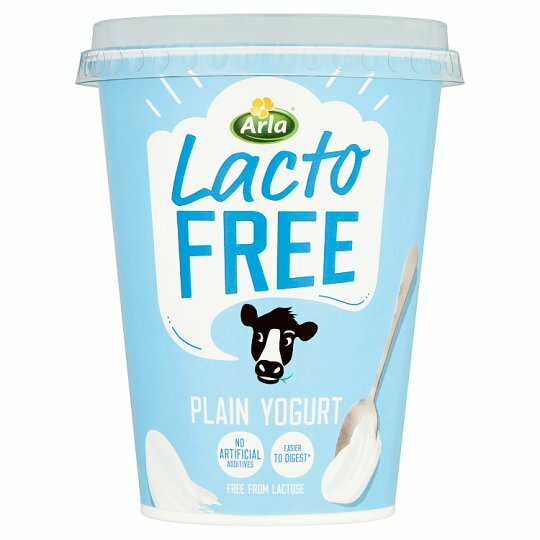 We use rigorous scientific testing to ensure that Arla LactoFree yogurt contains no lactose, using accurate accredited tests, enabling us to detect lactose at a trace level of 0.03%. At this level our tests show that there is no lactose present in Arla LactoFree. Rich in protein, source of calcium, source of vitamin D.
Protein contributes to the maintenance of muscle mass and normal bones. Calcium is needed for the maintenance of normal bones and teeth. Keep refrigerated., Use By: See lid.